Not sure which color to choose? Our Color experts at Palmer’s are reknowned throughout North Jersey and NYC for color. Look at Palmers Google, Yelp and Facebook reviews and you’ll see a quite a few comments that say “Just ask for Eric…” 45 years in the paint industry, Eric is asked for by name by thousands of customers to pick out the colors for their home. Our in-home consultant, Karen Pierri, can meet with you in home for your paint color selection process. Karen has 25 years of experience in the residential and commercial design field. She has done projects in the New York, New Jersey area in design and color for major brand hotels. She joined the Palmers team with extensive experience as formerly running color coordination at Benjamin Moores corporate HQ and by extension the Benjamin Moore Kiosk at Paramus Park Mall. Karen loves color and is not afraid of it, yet still has a keen eye for creating serene, neutral, contemporary, clean looking spaces. She will assess each room and where clients are in the process of choosing paint colors, providing as much or as little direction as needed. Color consulting is a collaborative process and she works with clients until they are happy with their color choices. Karla is known for her warmth and passion, which she brings to each consultation. As a Color Consultant, she works to enhance each client’s personal decorating style. She zeros in on what they like and gets to know her clients. She develops interior and exterior color palettes, and helps people turn their houses into homes. It is very important to Karen that her clients feel comfortable and happy with the service she offers them. Her goal is to combine her knowledge and experience to deliver the best creative environment to her clients and their families. If her clients start with a blank slate, Karla will work on helping them find colors that make furnishing a room easy. She will combine color psychology, current trends, color design theories and demographic statistics to help determine a successful and informed solution for color choices. Karen is great at clarifying color issues and helping define the best color solution to meet her client’s goals of what each room is to look like. Karen is always happy to talk with customers at Palmers. Customers by walk-in only, but call to confirm her schedule: 201-686-7900. 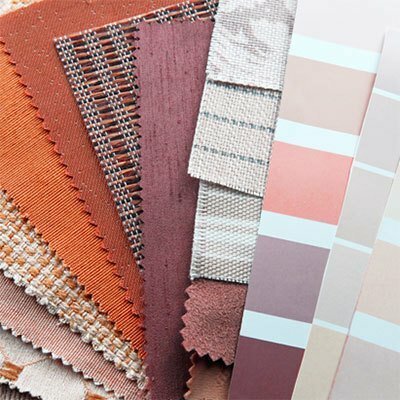 When you come in for a consult, she recommends bringing in a piece of fabric or a rug, as this will help her know your taste and can inspire an entire color palette. Karen is also available for In-Home Consultations by appointment. Every job is unique! Every client is important!